Hurry over to Amazon.com where they are offering a 30% off The Body Shop coupon, valid to use on participating items found here. 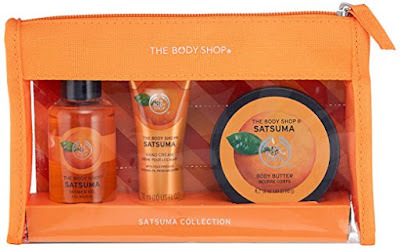 As a deal idea, you can score this The Body Shop Satsuma Beauty Bag for just $7.75 (regularly $15) when you clip the 30% off digital coupon! This set includes travel size shower gel, body butter, and hand cream, plus a reusable travel pouch.